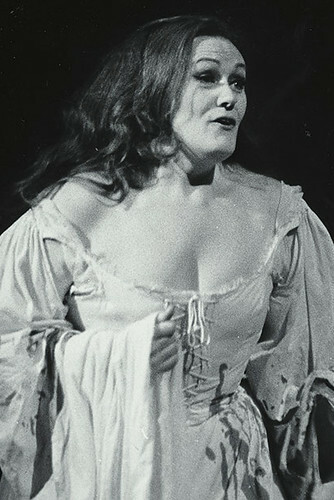 Australian soprano Joan Sutherland (1926–2010) was one of the great bel canto singers of the 20th century. She joined the Covent Garden Opera Company (later The Royal Opera) in 1952 and performed regularly at the Royal Opera House in many of her most famous roles. Sutherland was born in Sydney. She studied in Sydney with her mother and with John and Aida Dickens, and at the Royal College of Music, London, with Clive Carey. On graduation she joined the Covent Garden Opera Company, making her debut in 1952 as First Lady (Die Zauberflöte). 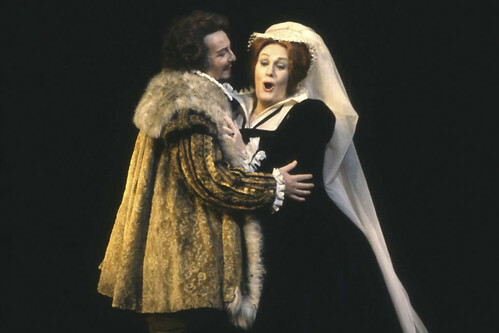 Other early roles at the Royal Opera House included Amelia (Un ballo in maschera), Woodbird (Siegfried) and Eva (Die Meistersinger von Nürnberg). 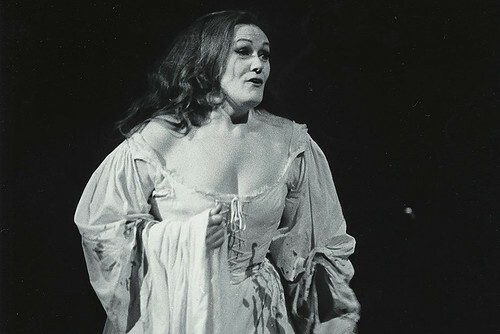 International recognition of her gift for bel canto came with her 1959 performances of Lucia di Lammermoor at the Royal Opera House. 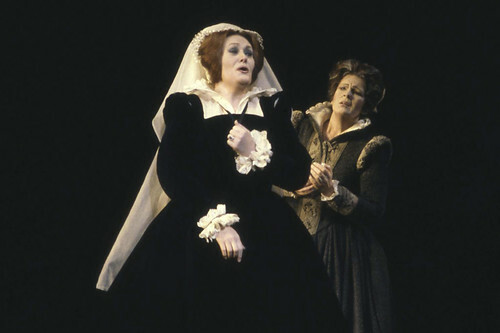 In that role she made her debuts with companies including Paris Opéra, La Scala, Milan, and the Metropolitan Opera, New York. 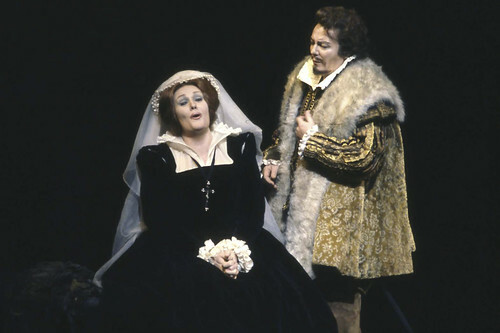 From the early 1960s onwards she was acclaimed internationally for her performances of roles including Alcina, Cleopatra (Giulio Cesare), Amina (La sonnambula), Semiramide, Marie (La Fille du régiment), Maria Stuarda, Lucrezia Borgia, Anna Bolena, Marguerite de Valois (Les Huguenots), Violetta (Il trovatore), Leonora (Il trovatore), Marguerite (Faust) and Lakmé. She was a particular champion of early 19th-century Italian opera and did much to bring this repertory back into mainstream performance. Sutherland was appointed a DBE in 1979 and was awarded the Order of Merit in 1991.